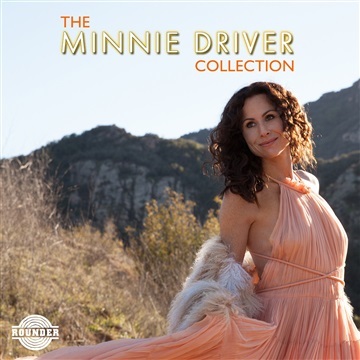 As an in-demand TV and movie actor, Minnie Driver has not had a lot of time for her first love: making music, songwriting and singing. Before coming to national prominence in Good Will Hunting, Driver was first signed to a label in her native UK. Here she returns for her third Zoe/Rounder album, after a lengthy hiatus, that included having her son and a flood of acting gigs. Ask Me to Dance is a bit of a departure from her previous two albums of original material, featuring her own interpretations of other artists’ songs that have been important touchstones in her life. Here she brings her own inimitable style and take on songs by Elliott Smith, The Cure, Neil Young, John Prine, as well as Stevie Wonder and Frank Sinatra, among others. Some of these songs are ones that helped her survive her teenage years, waiting for someone to ask her to dance, astounding as that may sound for someone like Minnie Driver. Today, better than ever, her vulnerability and great voice bring the material to life in new ways that speak to us all.